Michael Scheyer was born in 1980. He earned his master’s degree in theater, film and television-studies, and philosophy and sociology in the year 2009 at the University of Cologne. After that, he worked as a freelance video producer for two years, until he realized that he was more interested in the audience’s interests than in the client’s interests. He went on to undertake a three year traineeship as a cross media journalist at the news corporation “Schwaebisch Media”, where he learned print, radio and television journalism. He was awarded a jury film prize in 2005 for his shortmovie “Ex” at a short film festival in Konstanz and a jury prize in 2017 for a news report about Germans becoming significantly more armed with weapons. 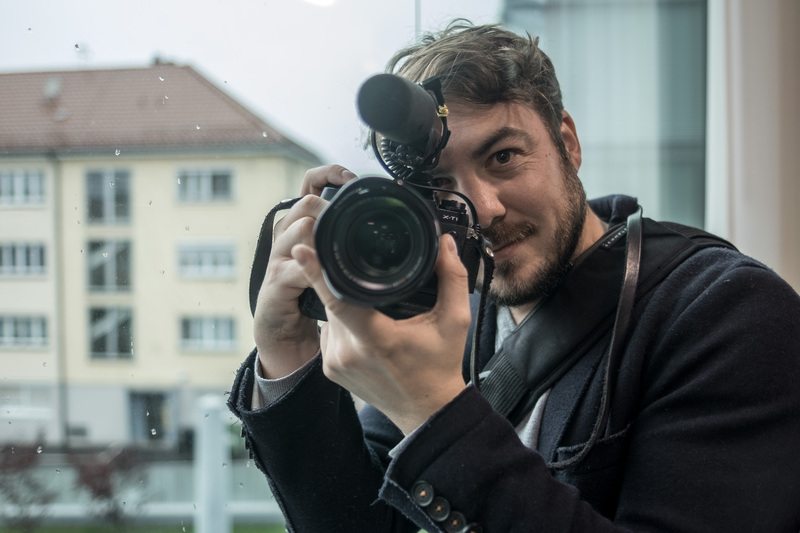 At present Michael Scheyer works as a video journalist in the newsroom of the newspaper “Schwäbische Zeitung” and as a managing editor for the tv news journal of the local tv station “Regio TV”.